HOSA-Future Health Professionals is an international organization that has state associations and within each state local chapters. It is a student led organization by elected state officers and elected local chapter officers. Each year in Connecticut, hundreds of high school students as well as post-secondary and middle school students attend the Fall and Spring State Leadership Conferences (SLC). 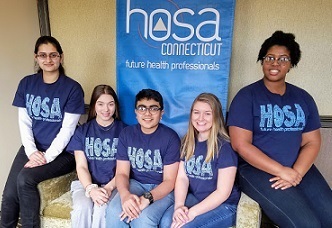 These conferences are planned and led by CT HOSA State Officers who are elected by their members during the Annual Spring State Leadership Conference with the guidance of the State Co-Advisors. Activities foster the personal and professional growth needed for success in a healthcare career. Through HOSA activities, students practice many 21st Century Skills, including leadership, collaboration, teamwork, public speaking and problem solving. 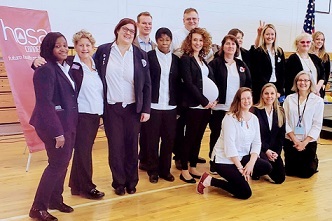 They have fun while they expand their circle of friends to include highly motivated HOSA members throughout Connecticut. Over 25+ competitive events are offered at the Spring State Leadership Conference, which is held every March in partnership with HOSA's International Competitive Events Program. Student members compete for medals and recognition events against other HOSA members from their division: middle school, high school and post-secondary. Students who place first, second and third are qualified to compete in that year’s International Leadership Conference (ILC), which is held a various American cities. 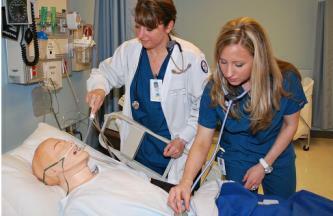 Grow as a future health professional. Learn how CT HOSA works with and helps health professionals, teachers and students.